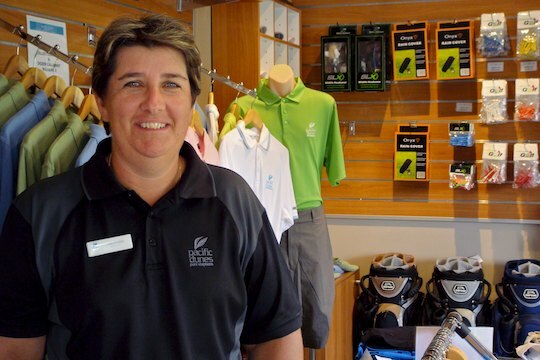 Former Ladies European Tour player Jo Mills is enjoying her new job at Pacific Dunes Golf Club, but she still regrets bowing out of professional golf the way she did. Despite winning twice on the LET and competing on the USLPGA for four years, Mills said she quit in June last year mainly because she was broke. “I didn’t play very well in 2009 and I really didn’t have much money so basically I had to sell my car to get back over to Europe for 2010,” said Mills. Mills headed off to Europe with a goal to earn enough money in the first section of the Tour to sustain her for the rest of the 2010 season. “It didn’t happen, I didn’t play well enough and I just ran out of money. That was one of the reasons why I decided to say, OK I have had enough,” she said. Regretfully Mills was forced to pull the pin just before two of her favourite events, the Evian Masters and the Ladies British Open in June last year. “I also picked up a few injuries, with the travelling and playing it was just getting too taxing on my body and that is one of the other reasons I quit,” she said. “16-and-a-half years is a long time on tour. I was hoping to get to 20 but it didn’t quite work out. But don’t mistake Mills’ comments as bitter. She is just stating the way it is for so many pros. And she feels very lucky to have her job at Pacific Dunes on the New South Wales Hunter Coast. “Within a month of getting back from Europe I walked into a job which I was really surprised at considering I have no sort of tertiary education,” she said. But she admits it has been a challenge to adapt to her new life. “The first couple of months I thought ‘Oh what have I done. I miss it so much I wish I was back out there’. But at the end of the day I made the right decision,” she said. And while Mills is busy as the Assistant Professional at Pacific Dunes she also wears another hat, board member of the ALPG. Already she has an aim – to raise the profile of women’s golf across Australia and to chase more sponsorship. “We undersell ourselves a lot. I think we are worth a lot more money than we get offered,” she said.